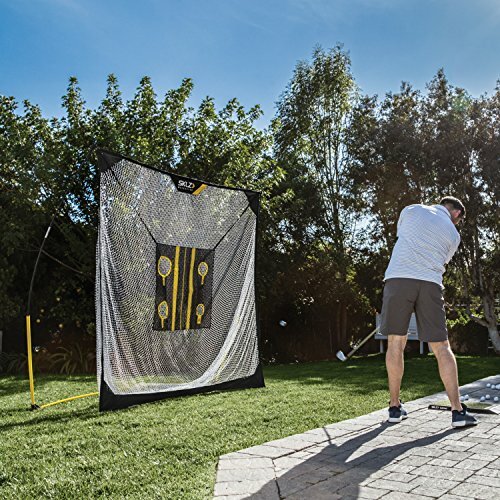 The SKLZ Quickster Golf Net with Target — After talking with tons of clients about the most effective training aids that they have used; many said that a golf practice net (and alignment rods) was the best tool for improving their games. This experience makes a lot of sense because it is only through proper and frequent repetition that a golfer can build a consistent swing and confidence. The challenge with store bought “amateur” nets is their durability. Cheap nets can only take so many impacts from a golf ball moving at high velocity. Yet very few people can make the investment to buy a higher grade net such as the Net Return Pro-Series Multi-Sport Net which we reviewed in a separate post. So, what should a golfer buy if he wants to spend around $100 – $130 for a golf practice net? 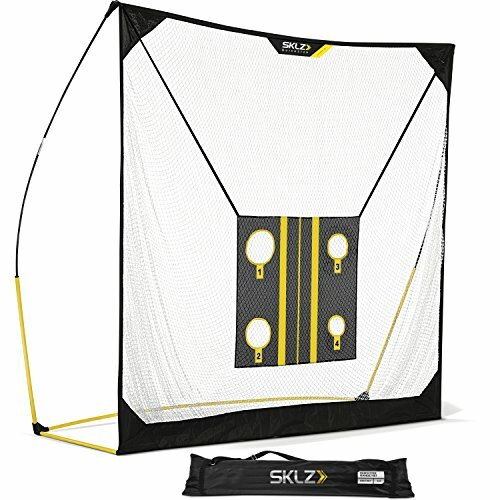 We recommend the SKLZ Golf Net with Target as the best value for the money. 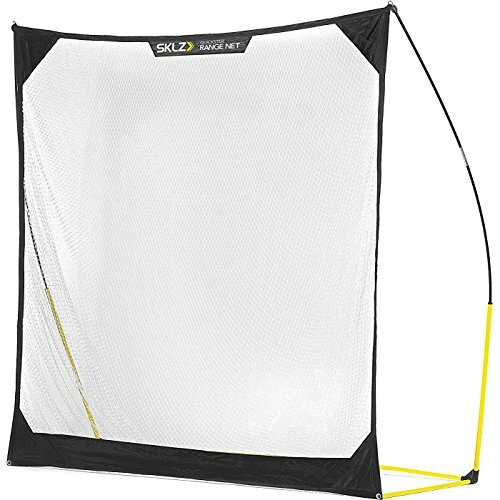 The SKLZ Quickster Golf Net comes in two sizes 6 X 6 feet and 8 X 8 feet. The 6 X 6 model typically costs below $100 (usually closer to $80) while the 8 X 8 model typically costs around $130. For cost conscious buyers we recommend the smaller size. Although smaller it is still a high quality option. 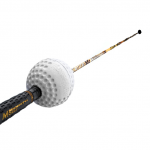 For those who can afford more, we recommend the larger size in order to capture mishit balls but also because the increased size of the net better absorbs the golf balls impact by creating more give. The Quickster is highly portable and comes with its own carrying case. 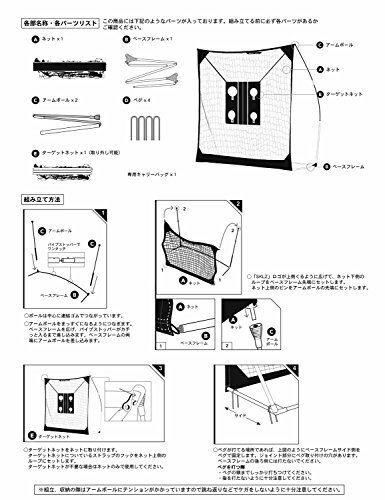 It is easy to put together and can be assembled in under two minutes. The highly durable net is designed for impacts up to 175 MPH. See below to buy the Best Home Golf Practice Net! The link will take you to both size options. THE NET GOLFERS WANT. The SKLZ Quickster Golf Net is the only hitting net you will ever need. With this ultra portable driving range you can practice your game even when you're not on the golf course. PERFECT YOUR SWING. Use the height-adjustable full swing and chipping targets to help you become a master of the game. Gain automatic feedback as you perfect your aim, improve your focus, and develop your hand-eye coordination. ULTRA-PORTABLE. 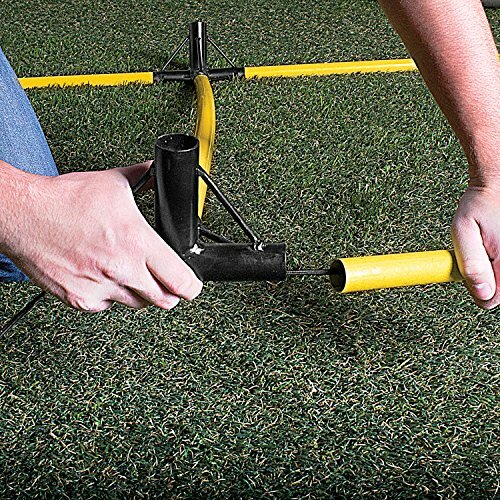 The SKLZ Quickster Golf Net is quick to set up and break down. 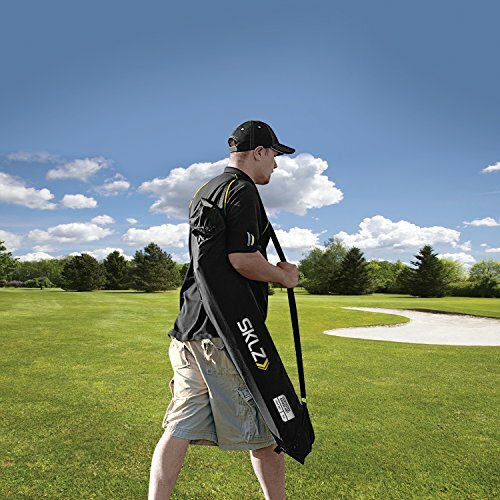 With a compact carry bag, chipping target, and four (4) ground stakes, you can swing anytime, anywhere. The easy to attach net and sturdy base allows you to set up in as little as 90 seconds. INVEST IN YOUR SKILLS. SKLZ is dedicated to preparing athletes to be ready for their sports and reaching their athletic goals. 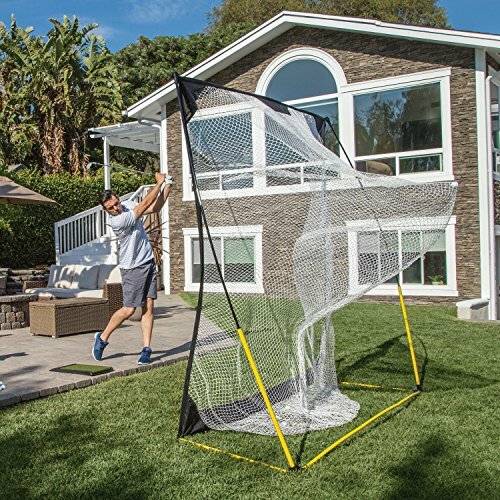 Take your skill to the next level with the SKLZ Quickster Golf Net for ultra-portable, quick setup, and hassle free golf shots.